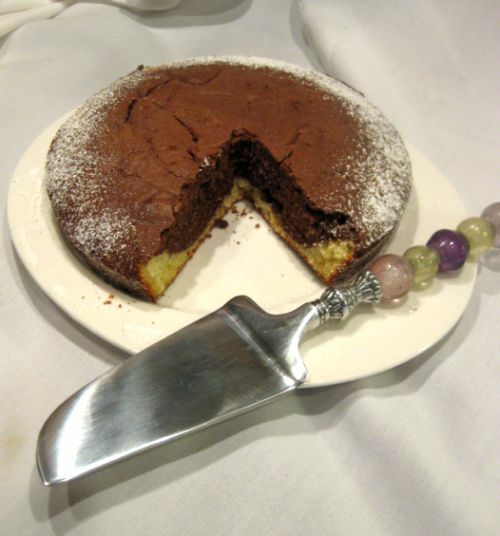 I got this recipe while reading " on Rue Tatin"
I was reading a wonderful book called On Rue Tatin by Susan Herrmann Loomis and found this interesting recipe in the book. Susan Hermann Loomis moved from the U.S. to France to discover French food and French life in a little town in Brittany. Her book is about her life in France and how food play an important role in her daily life. 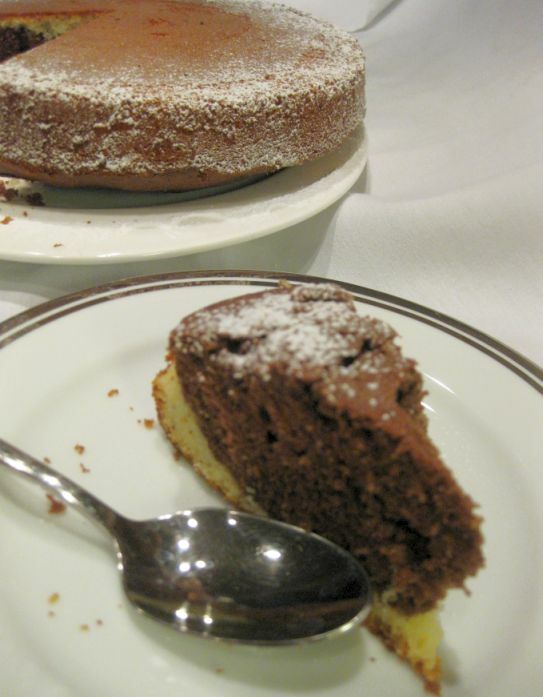 Among the many recipes Susan includes in her book I found a yogurt cake and after reading the recipe I decided I should give it a try. 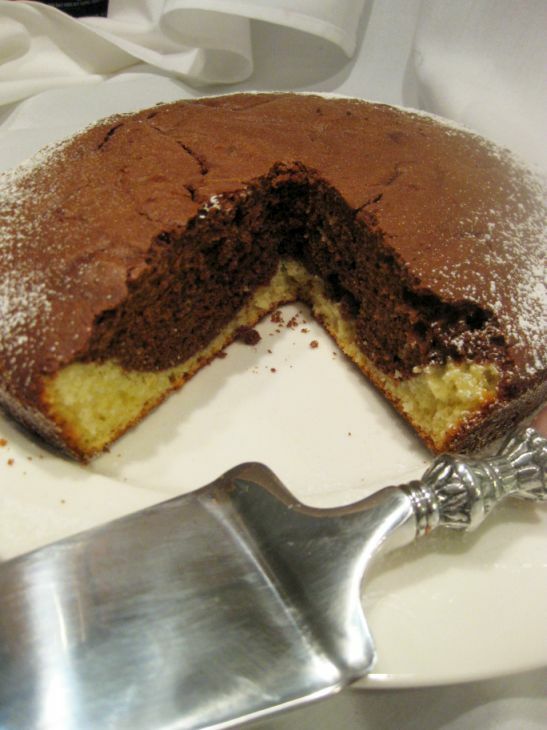 The ingredients are very simple and I just tough the combination of yogurt and chocolate should yield a yummy cake. 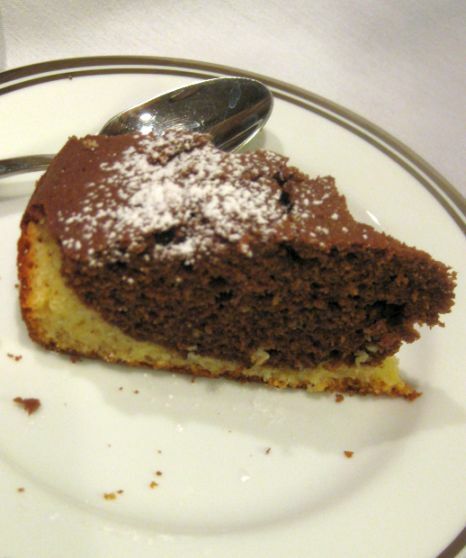 Apparently this recipe is very popular in France and most of the school girls learned this recipe one way or another. 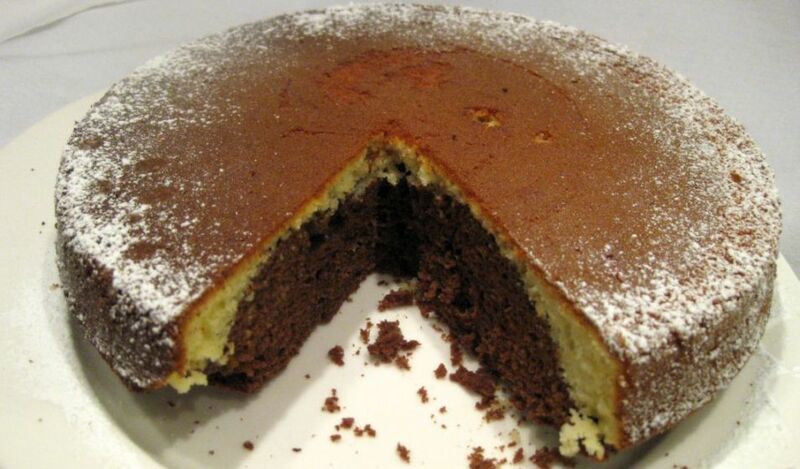 This cake is served mostly at break time in school where mothers will bring the cake and share it will the whole class. I ate the cake when it was still warm and it was excellent just as it is, but you can serve it with a scoop of ice cream. 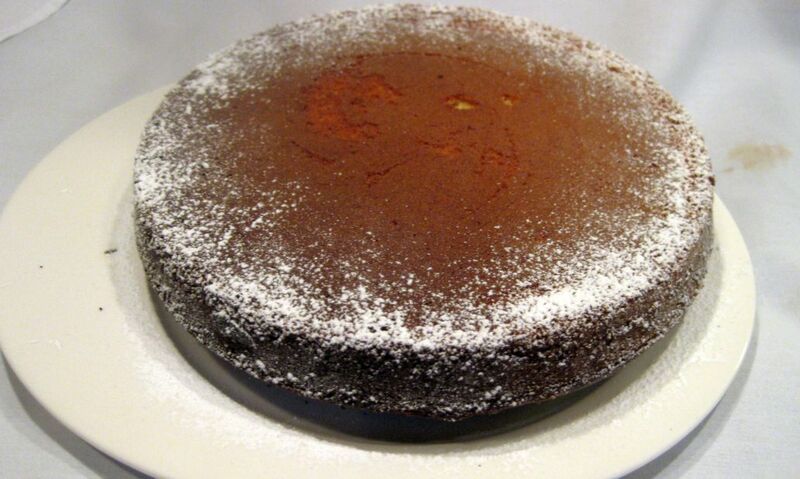 The cake turned out wonderfully moist and delicious, topped with a light layer of confectioner's sugar! Close up look at the cake. 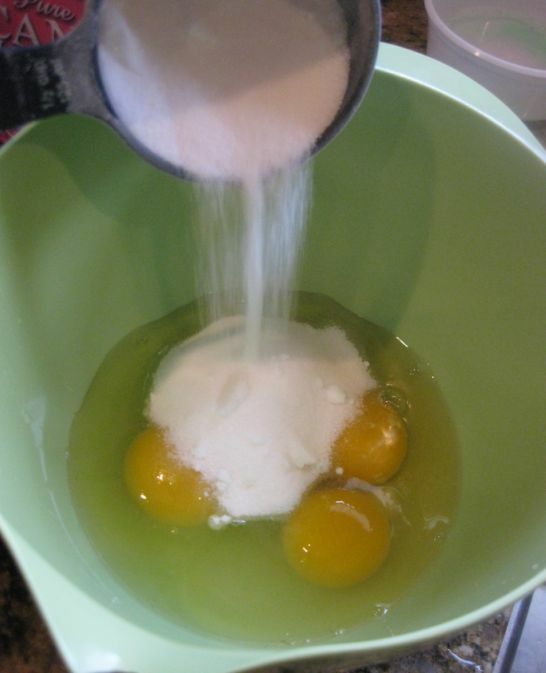 In a large bowl put the eggs and sugar together. 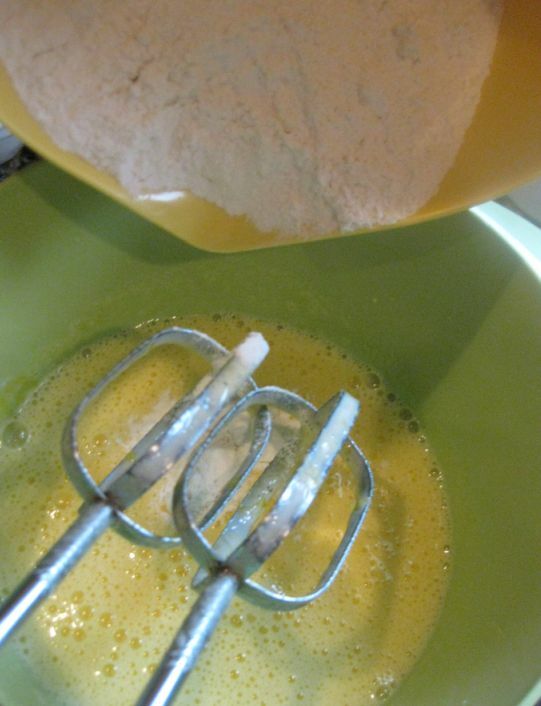 Whisk the sugar and eggs until light and pale yellow. 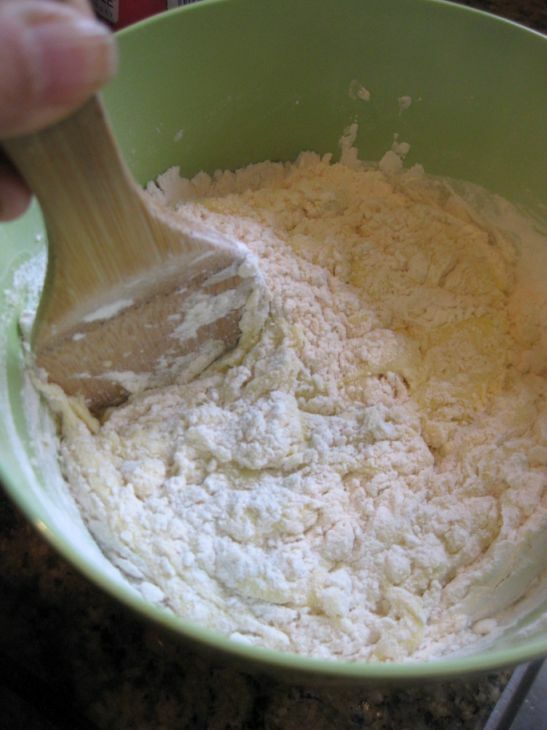 In a separate bowl put together the flour, baking powder, and salt together and mix it well. 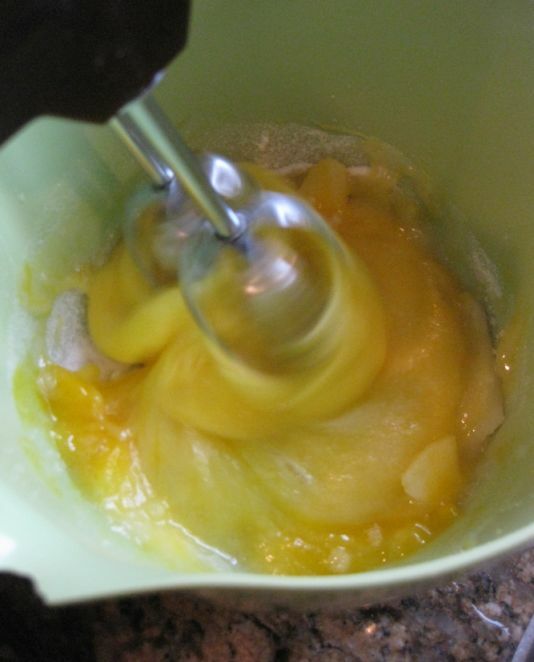 Sprinkle the dry ingredients over the eggs and sugar. 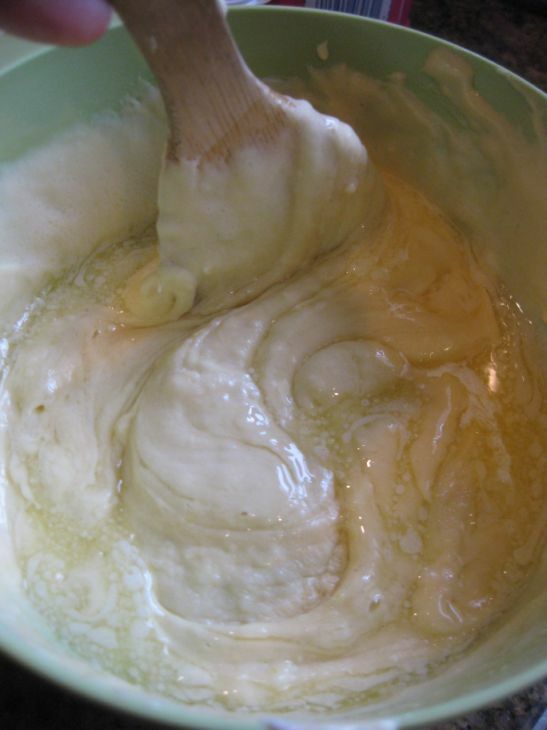 Fold in the yogurt an vanilla. Mix it all together and set aside. 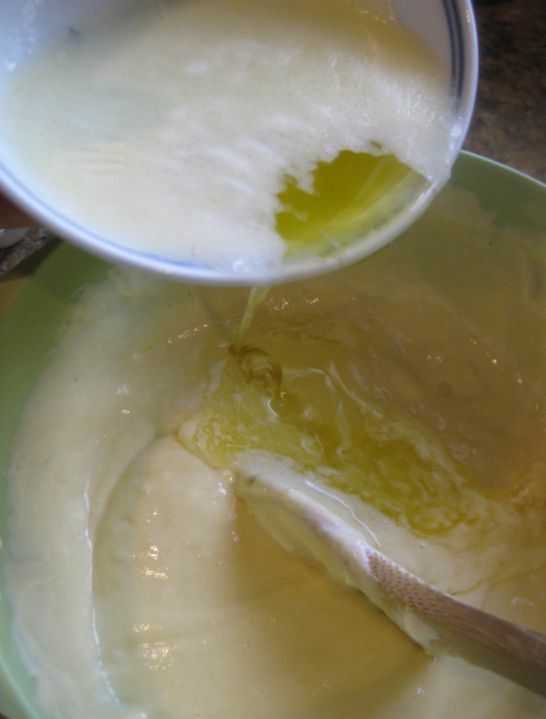 Pour the melted and cooled butter in the mixture. 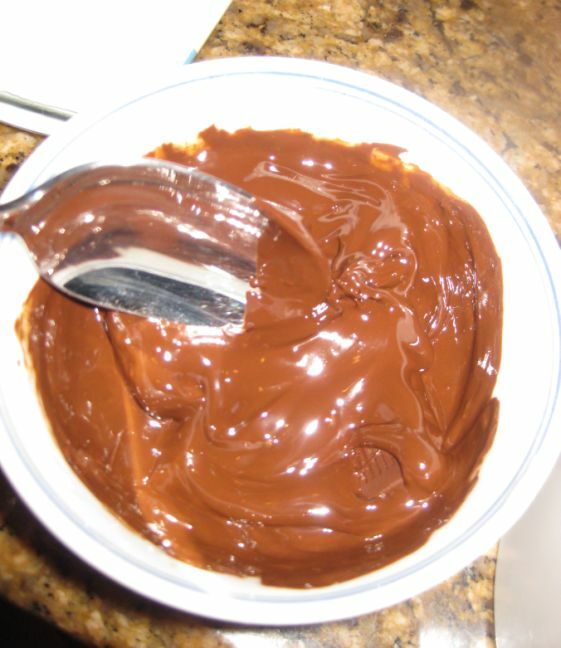 Put the chocolate in a separate bowl and put it the microwave. 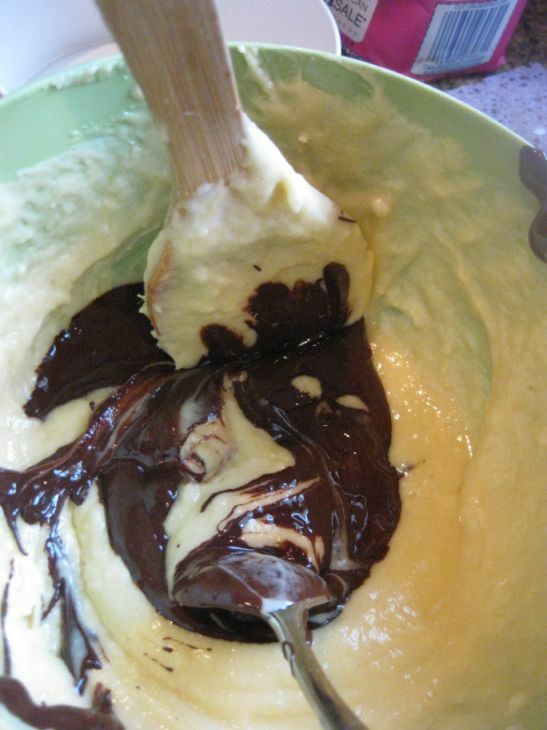 Zap it for 1 minute, remove the bowl, stir the chocolate and if it is not fully melted just zap it again 30 seconds at the time until completely melted. Make sure to stir the chocolate each time you take it out of the microwave. 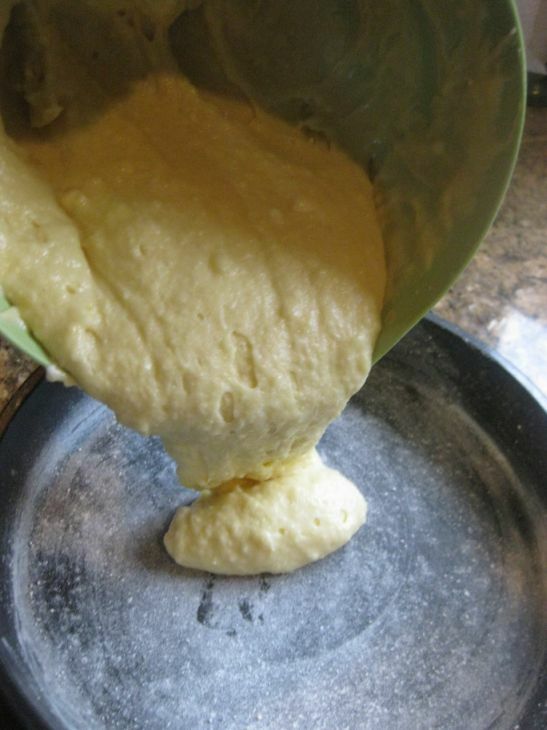 Butter and flour one 91/2 inch round cake and pre-heat the oven at 375 degrees. 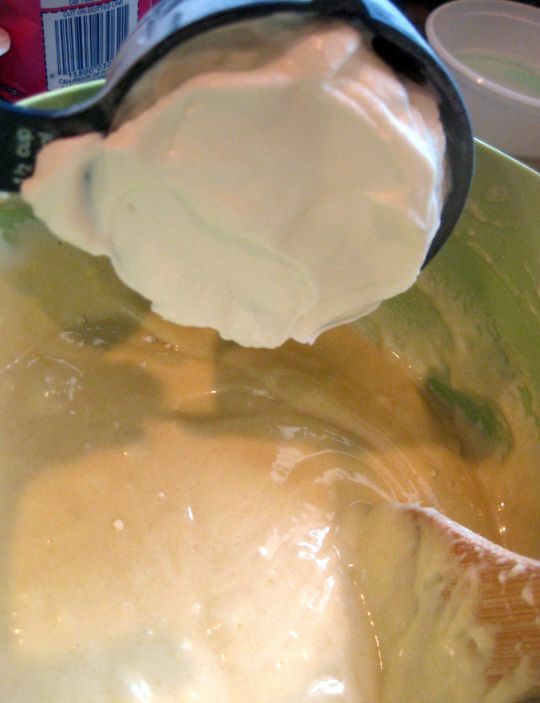 Pour half the batter inside the pan and save the other half. 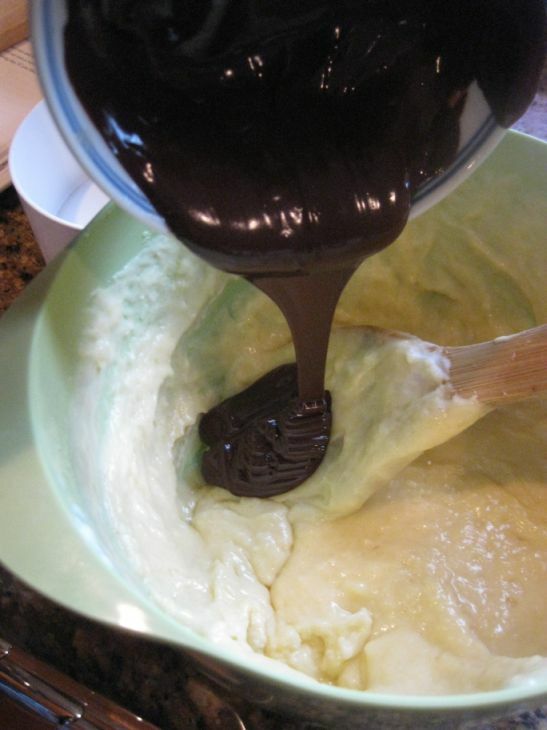 Fold the melted chocolate into the remaining batter. 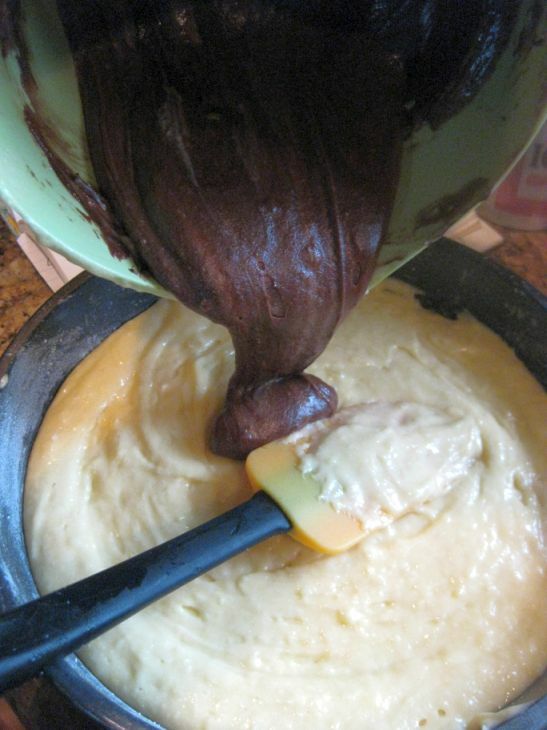 Mix thoroughly all the chocolate is incorporated in the batter. 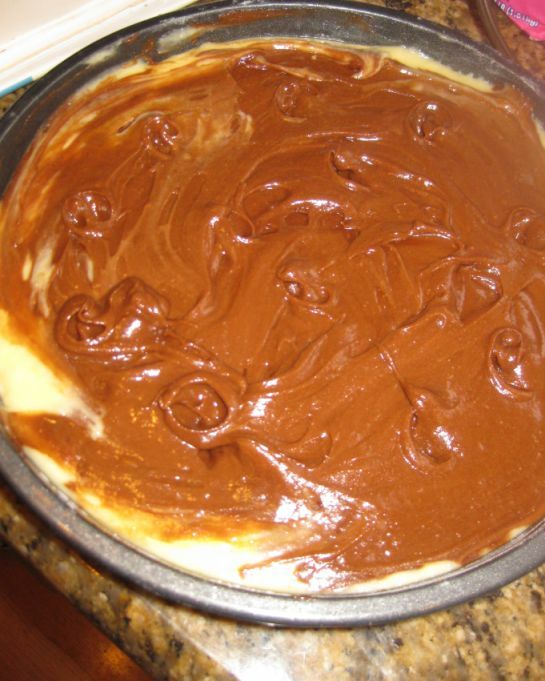 Pour the chocolate batter on top of the plain batter that is already in the cake pan. 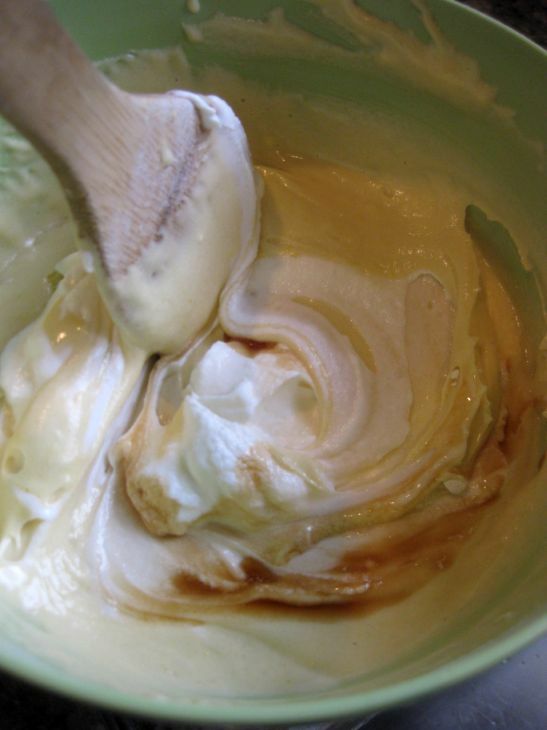 Run a rubber scraper thorough the batter several times to make a marble pattern. 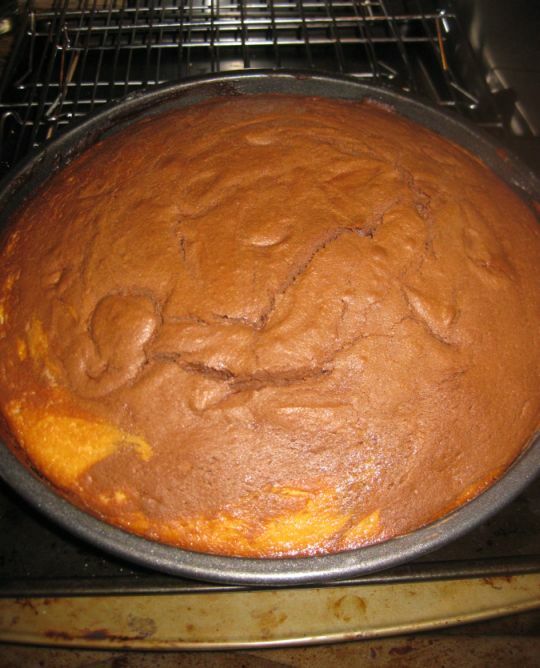 Put the cake in the preheated oven for about 35 minutes. 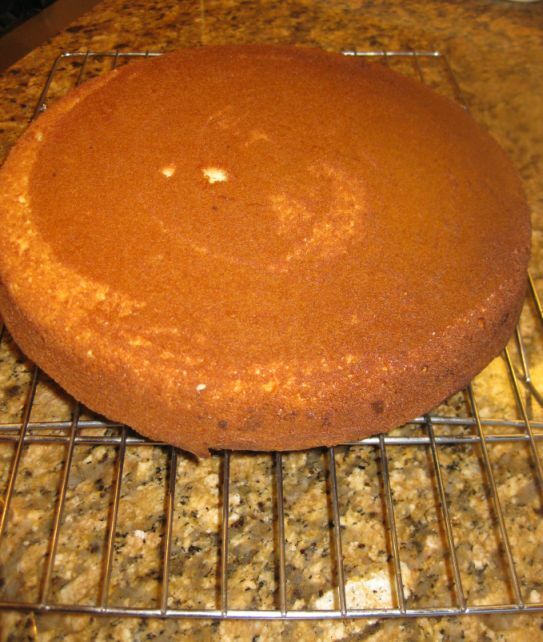 Wait for about 15 minutes then turn the cake out onto a wire rack to cool it down. Dusk the top with confectioners' sugar.